This Onam festive season would bring the most exciting hours for the malayali community residing in various parts of the world. All the major malayalam channels are ready to divulge some innovative programmes and entertain the mass audience. As Onam is widely celebrated with pomp and vigor, we can expect inventive shows with artistic excellence during the 10 days of Onam. Entertainment channels like Asianet, Surya TV, Amrita TV, Asianet Movies, Kiran TV and Kairali TV have already announced the names of premiere movies. Adding more thrills to the celebrations, Mazhavil Manorama is all set to deliver a real visual treat for the small screen viewers. Being one of the top entertainment channel in Kerala, Mazhavil Manorama would open their baggage to unveil some premiere movies a wide range of interesting programmes. So, what is stored in the box??? 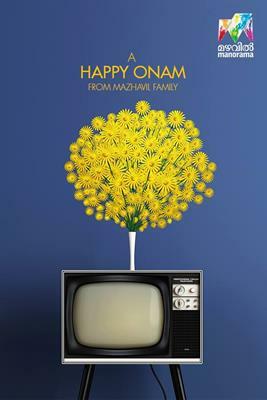 Mazhavil Manorama which has won the heart of millions is less time would telecast a wide range of programmes and premiere movies during this Onam. Even though, names of some of the premiere movies are kept reserved, as of we know the channel would deliver an Onam treat for the spectators. Movies like 'Praise the Lord' and 'Law Point' would be premiered during this Onam, while 'Bhayya – My Brother', the dubbed version of Telugu movie will also be broadcast. As the channel holds the satellite rights of many super hit movies, we can expect some real suspense in few days. The channel would run nonstop entertainment activities which include celebrity chat shows, music and comedy skits along with premiering a slew of blockbusters during this Onam. Celebrity interviews with actor Suriya, bollywood actress Vidya Balan, Sruthi Hassan, Amala Paul – Vijay and Nadiya Moidu would give entertaining hours for the viewers. Miya and Govind Padmasurya would talk about their film career, special programme featuring serial actors, boat race of film and serial stars, special Onam episodes of D4Dance, Bima Cinema Chirima and Onnum Onnum Moonu would entertain the malayali community.